I can only add my voice to the chorus of praise for Tangerine, a refreshingly new kind of screwball comedy about the misadventures of a couple of transgender prostitutes working in Hollywood on Christmas Eve. The film has deservedly racked up raves and awards since its Sundance debut in January: radical in form — it was shot entirely on iPhones — as well as content, it’s my favorite American movie of the year (yep, I liked it even more than Inside Out). I recently had the great pleasure of interviewing the film’s director and co-writer, Sean Baker. Please note that a slightly different version of this interview appeared on the Time Out Chicago blog yesterday. MGS: With a focus on the intimate lives of transgender prostitutes and a family of Armenian immigrants, Tangerine depicts characters and subcultures rarely seen in American movies. What kind of research did you do to ensure that the film would be as authentic as possible to the lives of these marginalized figures? SB: It all comes down to time and collaboration. Chris Bergoch and I are cisgender white males from outside the world that we are focusing on and we knew that the only way to tackle this project responsibly and respectfully was to spend time in the research stage. Mya Taylor and Kitan Kiki Rodriguez were not only the film’s leads but our main consultants who introduced us to people from the area. We had very informal meetings where we heard numerous stories and anecdotes. Then when Chris and I finally wrote our treatment (based on everything we had heard or witnessed), we gave the treatment to Mya and Kitana to approve. Once approved, we moved forward with workshop sessions which helped give their voice to the dialogue. Then when we were shooting, there are constant approval and consulting. And in post production, Kitana was present and gave notes as I cut the film. So it was quite collaborative in every stage of making this film. For me, that’s the way you achieve authenticity. Same goes for the Armenian sub-plot but to a lesser degree. Karren Karagulian and Arsen Gregorian finessed all of our written dialogue with Armenian flare. MGS: The visual style of Tangerine goes against expectations of what we think of as “microbudget cinema.” How did you decide on the look of the film and how important is it to you that people experience it on the big screen (as opposed to VOD)? SB: Well, thank you. We did our best to elevate the iPhone footage to a cinematic level. We knew from the beginning that we were going to attempt to shoot something that was worthy of being shown on the big screen. We also set out to make a film that would get the audience engaged and active… so hopefully seeing it with an audience adds something to the experience. The saturation of the colors came during the tests. At first I de-saturated the colors because that’s a stylistic choice that fits with “neorealist” genre. But as soon as I looked at the desaturating images of Mya And Kiki, something didn’t feel right. The style clashed with their colorful personas… so I went the other way and pumped the colors through the roof. Then it suddenly felt right. MGS: A lot has been made about the fact that Tangerine was shot with iPhone cameras but I thought that the editing was the most impressive aspect of the film. Can you talk about the importance of creating pacing and timing in a film comedy? SB: Well I think that editing is 50% of directing. The editing room is where I’m discovering the film I just shot. And with comedy, I believe there is a pacing/timing that you have to find in the same way that a stand-up comedian has to time the set-up and punchline of the jokes. Also, I think that reactions are very important. I think that cutting to reactions (or the lack of) is where comedy lies. MGS: Hey Sean, what’s your favorite Fassbinder movie? SB: I have to go with The Merchant of Four Seasons. Whole lot of broken dreams. MGS: So are you in the midst of a whirlwind media tour right now? KS: Thank you! I think they did a lot of those interviews and are holding them until closer to the release. And then everything I’ve just been sort of doing by phone and it’s not that bad. KS: I’m very… I’m due in three weeks. KS: (laughing) Actually, yeah, it was. I mean, you never really know but, yeah, it was not unexpected, I’ll put it that way. MGS: So now you can make a sequel? MGS: I saw your film back-to-back with Results and I thought that was a great way to see both of those films — because Cobie Smulders is terrific in both and her performances couldn’t have been more different. Did you feel it was fortuitous that both films premiered at the same time at Sundance? KS: Yeah, it was cool. I really like Results and I have known Andrew Bujalski for a really long time. So I was kind of excited that we had the same actress. And Cobie hasn’t done any sort of indie stuff and then, all of a sudden, she’s in two movies in Sundance. So, yeah, she’s such a great actress and it was exciting for me to see her do something different at the same time. MGS: In your own film? KS: No, in Andrew’s. I didn’t have much experience with her as a fan. I didn’t really watch the show (How I Met Your Mother). I’d seen a few episodes just for her performance. But, you know, her performance in my own film is of course what I know the best, what she can do. And then it was really neat to see Results at Sundance and see her play a very different character. She’s amazing. 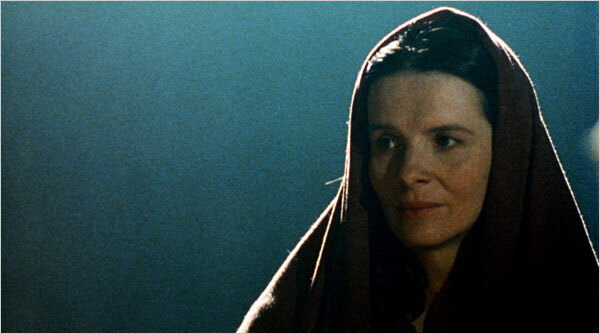 MGS: It’s rare to see films that take pregnancy as a subject. And that’s really surprising in a way because it’s obviously such a common occurrence . . .
KS: I know, I know, I know. Just think of all the movies we have about, I don’t know, relationships or people robbing… (laughs) It’s kind of crazy — because everyone has been born — that we don’t have more movies about pregnancy. And what’s even crazier is that we have few to no movies about a woman’s experience during pregnancy. MGS: Do you think that’s because there are so few films made by women? KS: Absolutely, no contest. That is the reason. And the reason why I know that’s the reason is because I made this movie about pregnancy not realizing that it was from my point-of-view. Just like a man, you know, wouldn’t realize that he’s writing it from his point-of-view. You know what I mean? It’s just like, of course, the most natural way to go about it, to write from your point-of-view. Most films about pregnancy are from the point-of-view of a man looking at his wife and thinking, “Oh, she’s going crazy. What do I do?” All of that stuff, it’s usually pretty funny. You know, the delivery scene tends more towards comedy. Not that I have a super-dramatic, heavy film but I definitely took some of that stuff more seriously. I think I was careful with those emotions in a way that, you know, a stupid comedy isn’t. MGS: It’s funny in the way that life is funny. You’re not writing jokes. MGS: I appreciated your depiction of Chicago as a multi-racial society, which is also rare. It’s common to see films with predominantly white casts or predominantly black casts but you made a film about interracial friendship that feels very true. KS: The movie is based a lot on personal experience and my own experience as a high-school teacher on the West Side here. So those relationships, even while I was having them, when I was a teacher and then after I was done teaching when I was still in touch with my students, I realized at the time how unique they were. Not so much for the racial component because I think, at least in our urban liberal world of Chicago, it’s fairly common for people to have friends of another race. And I certainly have friends of other races and it’s not worth making a movie about. (laughs) The reason why is because they’re of the same economic… the same social class as me. So our lives are very culturally similar. Of course, there’s differences with race and how we’re brought up and how we experience the world, etc. But it’s not nearly the difference between… the class difference that exists between Samantha and Jasmine (Gail Bean). That was what was really unique to me. People have relationships with other people of different classes but they’re usually, you know, “This person works in the same building as me.” Or “This is the cashier behind the counter that I get my coffee at every morning.” They’re usually on a professional level. They rarely get intimate. I think that’s what the real difference was with that relationship (in the film). MGS: Right. I think you made a lot of subtle points in the movie about class divisions and I was wondering if you were ever afraid that Sam was going to come across as a stereotypical “white savior” character. KS: Yeah, I was really conscious of that. But I felt the solution was, and it was something my co-writer (Megan Mercier) and I talked about a lot, was to make the movie very self-aware – and it is. And so (Sam) has assumptions about Jasmine’s world and that’s brought up very subtly in the film. At one point she asks her, “What did your boyfriend say when you told him you were pregnant? Was he mad?” And Jasmine’s like, “Why would he be mad?” And there’s a few moments like that where you realize the film is aware of that sort of movie trope. And we have this weird history in our modern cinema of these white ladies going into these schools and making everyone fall in love with Shakespeare or whatever. So I didn’t want to do that but because it was coming from my own personal experience as a teacher, I felt confident that I could portray it realistically and not (have it) be a stereotype. MGS: Because if you kept it true to your experience you would naturally sidestep that pitfall? MGS: I think another great example of that is early on when Sam asks Jasmine if she’s going to keep her baby and Jasmine says she doesn’t know. And then later, Jasmine asks Sam the same question and Sam looks surprised, almost like she can’t believe Jasmine would even ask her that question. I felt like you were being critical of Sam’s assumption. KS: Definitely. I was critical throughout the whole film! Not in a bad way but I was very conscious of that stuff. When she’s making those assumptions she’s not being racist, she’s not being a bad person. She’s very well intentioned in being her best but when you’re unfamiliar with a culture or community, those are the kinds of assumptions that you have so I wanted to point that out. MGS: Thanks for talking to me, good luck with the new baby and I greatly look forward to seeing your future work. 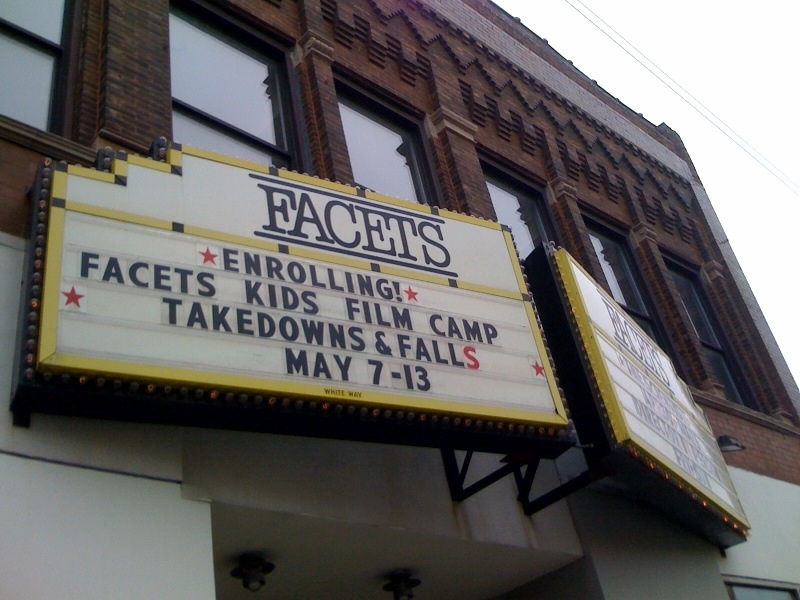 This summer, for the fifth year in a row, I will be teaching a session at Facets Multimedia’s Summer Film Institute, a unique and intensive week-long film camp for teachers. The topic of my day long seminar is “Hollywood Masterpieces in the Classroom: How to Teach Classic Hollywood Movies.” During the day-long session I will be screening Orson Welles’ Citizen Kane in its entirety as well as clips from various other classic films. The Film Institute is aimed at high school teachers and affords the opportunity to earn 30 CPDUs although anyone is welcome to attend. My session will occur this Friday, July 17th. More information can be found on the Facets website here. More info can be found on the Transistor website here. Any of my students who attend will earn extra credit points towards their final grade. Refer to the extra credit page of your course syllabus for details. Hope to see you there!